Nothing stops my boys wanting to play outdoors; if anything the cooler, damper months of autumn and winter are our favourite time of year for exploring the local woods! There are fallen leaves to run through and collect, sticks to play and build with, and acorns and pinecones to inspect. And of course those richly coloured red and yellow leaves make the prettiest of backdrops: last year it made the perfect setting for my gender reveal video when I was expecting Essie. 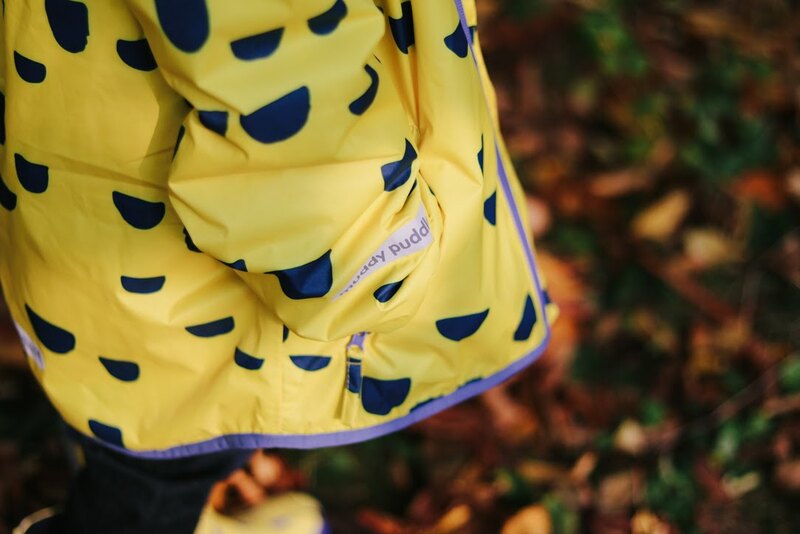 Muddy Puddles are a British brand and specialise in children's outerwear. They believe that "there is no such thing as bad weather, just the wrong kit" and with that in mind they are committed to making waterproofs that work. 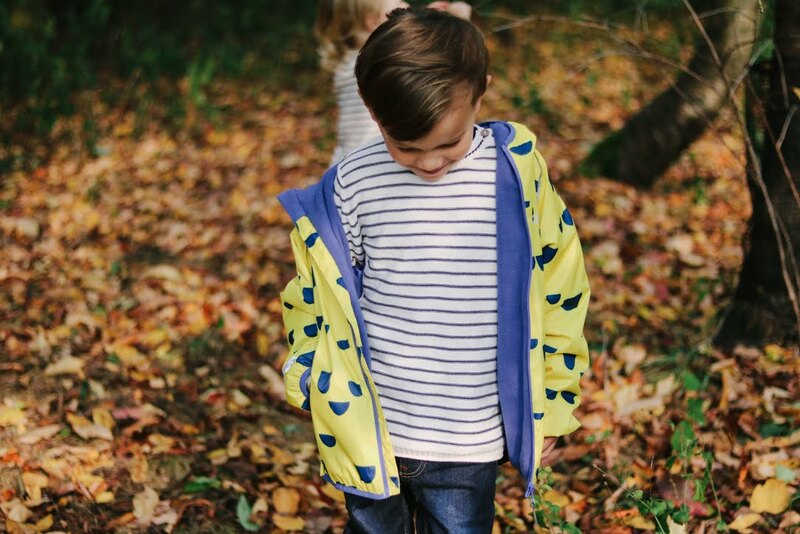 They kindly sent Noah a jacket and wellies from their new autumn/winter collection so that come rain or snow we can still get outdoors and enjoy the fresh air. 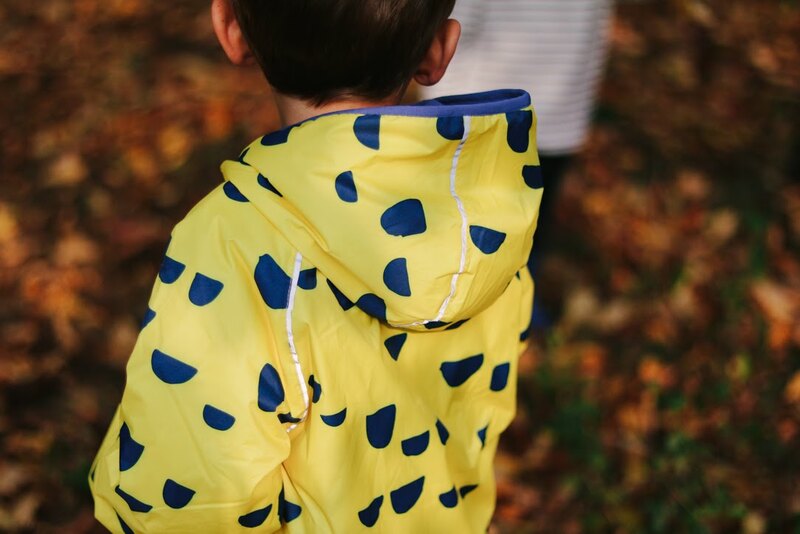 Noah's hooded jacket is one of the new Ecosplash designs in Yellow Hoof. 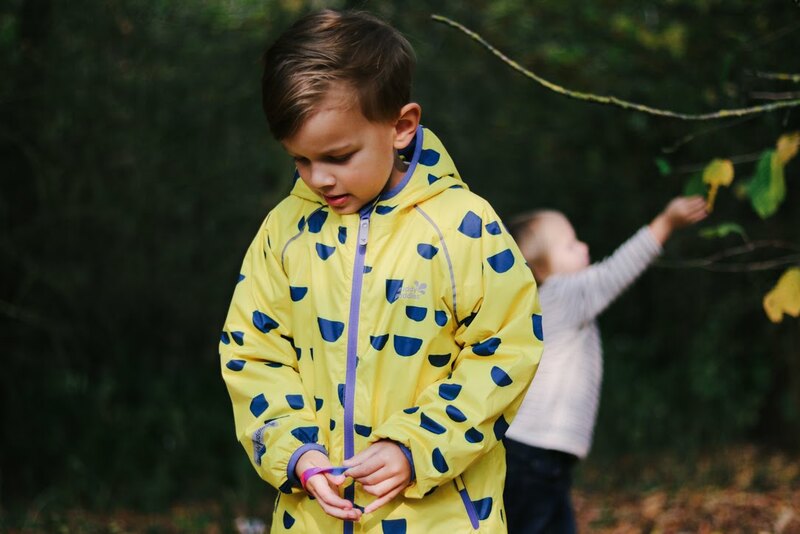 The hoof print on this bright jacket is inspired by the book 'Where my Wellies Take me'. It is fully waterproof and durable, yet lightweight, and amazingly is made from recycled plastic bottles! The jacket is lined with contrasting blue fleece to keep Noah warm and the reflective strips will give better visibility when it's dark. 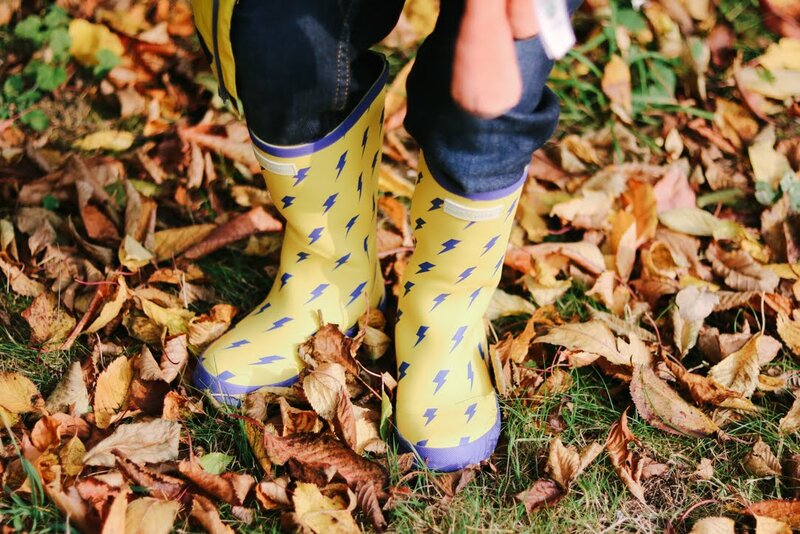 His lightening bolt Puddlestomper Wellies are the perfect match for his new jacket, in the same bright yellow and blue. These wellies are really durable and have cleated, grippy soles to prevent him from slipping over while the added height on the wellies stop water getting in. They're made out of rubber, with a cotton/polyester lining and soft, padded in-sole for extra comfort. Like the jacket, the wellies have a reflective strip for high visibility - really important now the clocks have gone back and it's getting darker! 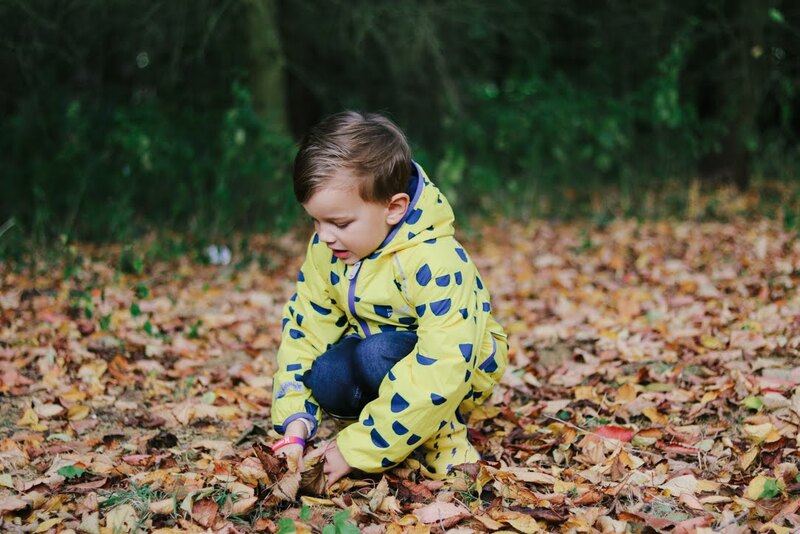 Noah loves his new jacket and wellies, he says they keep him warm and the colours are really cool. I love the quality and that he is warm and dry - and he looks great in them too! 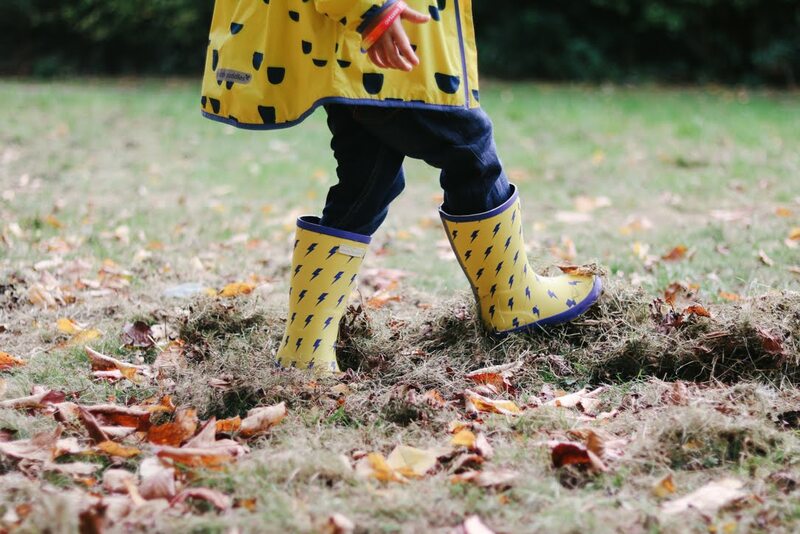 The Ecosplash Jacket is £45.00 and the Puddlestomper Wellies are £22.00. They both come in other colours and patterns, you can find them and the rest of the Muddy Puddles range here. With thanks to Muddy Puddles for the jacket and wellies.